We are fortunate here in New York to have proactive, environmentally-minded policymakers that have and continue to push for progressive energy policy. In just this past year, tremendous strides have been made in our state’s efforts to make clean, renewable energy (including solar!) accessible for everyone. 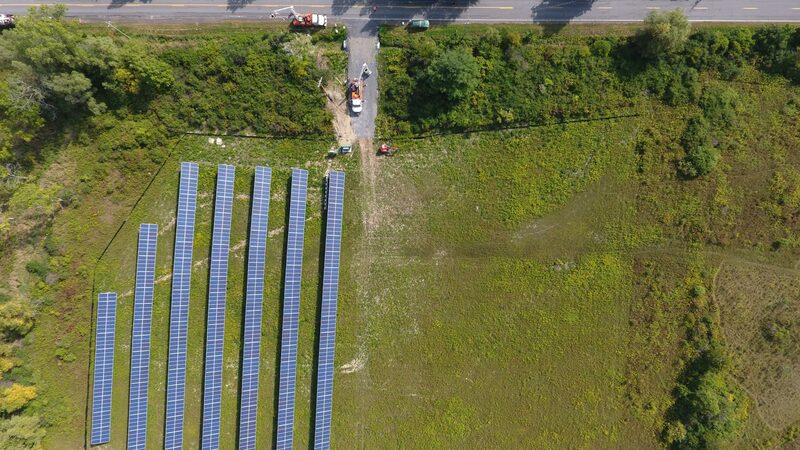 This blog post takes a look a the strategy driving these developments, what it means for solar, New York community solar, and the new options available because of it. One year ago, Governor Cuomo announced a bold energy strategy ‘Reforming the Energy Vision‘ (REV). It’s a comprehensive energy strategy that provides New Yorkers new opportunities for energy savings and local power, while overhauling the state’s electric systems to be cleaner, safer, and more reliable. REV enables the development of new energy products and services, creates jobs and business opportunities, and supports residents to make more informed energy choices and ensures access to affordable, clean electricity options like community solar. The hallmark of REV is its ‘Clean Energy Standard‘ goal of reducing greenhouse gas emissions 40% from 1990 levels in the energy sector (power generation and industry) by 2030 — and it doesn’t stop there, but looks to a longer term goal of reducing greenhouse gas emissions 80% statewide by 2050! REV also calls for 50% of the energy consumed in New York State to be generated by renewable sources by 2030. REV employs 40+ state-wide initiatives, many of them already successfully launched, such as NY-Sun, NY Green Bank, NY Prize and K-Solar, to reach it’s goals. REV also outlines a strong commitment to improve energy affordability for low-income communities. NY-Sun is a $1 billion initiative to advance the scale-up of solar energy. Solar in New York State has increased more than 300 percent from 2011 to 2014 — that’s twice the rate of national solar growth overall! As a part of NY-Sun, the Solar PV Incentive Program offers incentives to reduce the installation costs of solar PV for both residential and commercial customers. Another initiative is Shared Renewables, which aims to help people and communities across the state save money on local clean energy projects. Shared Solar, part of this exciting initiative, provides opportunities for renters, homeowners, businesses, and municipalities to subscribe to a portion of shared solar energy projects. In order to realize REV, in January 2016 Governor Cuomo launched a $5 billion Clean Energy Fund that will be allocated over the next decade to grow New York’s clean energy economy while addressing climate change and strengthening our state’s energy resiliency. Close to a billion dollars of the fund will be directly allocated to stimulate solar in our state, resulting in lower solar energy costs and new opportunities to scale large community projects like solar farms! Renovus Solar has four community solar farms built and dozens more in development. We offer two types of community solar: community solar system ownership and pay-as-you-go subscriptions. While both are possible thanks to progressive Shared Renewables legislation (also referred to as community distributed generation), they’re distinct from one another and appropriate for different types of energy customers. Community solar system ownership offers customers the opportunity to purchase solar panels, and rather than housing them on your property, they live on our local solar farm, alongside other community members’ panels. These panels generate clean power that offsets your home or business energy consumption and saves you money. Essentially you’re making an upfront purchase of 25 years of electricity (that’s how long the panels are warrantied to produce power), but for far less than what you will pay the utility for power otherwise. It’s like choosing between ‘renting’ power generated by the utility company for the next 25 years, or investing to own your power source, with a relatively quick rate of return on investment. 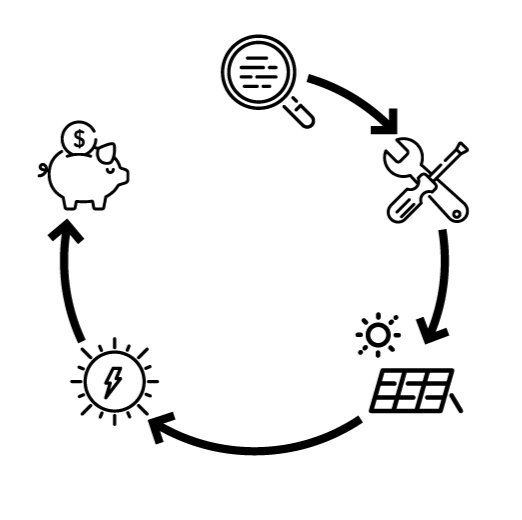 Solar system ownership has become an extremely compelling investment because the cost of solar panels has dropped dramatically in recent years, combined with state rebate and income tax credits that significantly reduce the overall cost. Interested in how much you could save with community solar in New York State? Use our easy, online Estimated Savings Calculator, just click “Get Started”. Thanks to our proactive state legislators and exciting policy changes over the past year, community solar has made clean power accessible and affordable for everyone who pays an electricity bill. When Renovus launched our pilot pay-as-you-go community solar program, the first of it’s kind in the state of New York, we enrolled hundreds of customers in just three hours, totaling in over 5 megawatts of solar! And with four community solar farms, comprised of over 100 owners, there is clearly a high demand for this dynamic solar solution. We are honored to be a driving force in the clean energy revolution in New York State. This is only the beginning and the future for solar is growing brighter every day!